Constructed in 2014 by AC Lloyd to provide 14 high quality units accessed off Poseidon Way. The estate is formed in 3 terraces on 1.44 acre site. 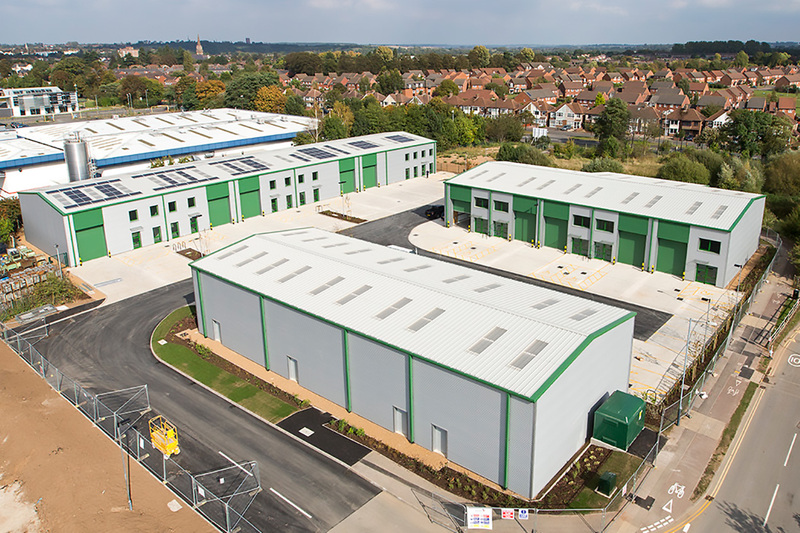 The units comprised, 6m eaves, single roller shutter door, shell finish for occupiers fit-out with capped services. All units were under offer at practical completion.